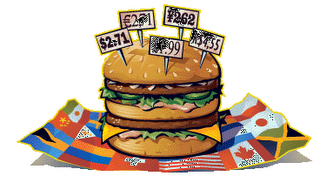 Big Mac Index-Which City Makes Most Money? Tokyo seems to be city where you can earn your money the fastest. It is quite interesting to notice that Tokyo is the only Asian city ranks in the top ten list. The second Asian city where you can make money fast is Hong Kong. And again Kuala Lumpur, is far behind other Asian cities such as Seoul, Singapore, Taipei and even Moscow! And the United States is still the country with most cities where you can buy your Big Mac by working less than 15 minutes! How To Diversify Your Income? Invest Or Pay Your Debt? Getting Paid By Sharing your Computer? Are We Getting Happier ?